FIFA presidential candidate Gianni Infantino confirmed Tuesday that he will withdraw his bid if close associate and fellow European soccer executive Michel Platini is allowed to participate in the election, the BBC reported. Platini was considered a front-runner in the race to replace departing FIFA President Sepp Blatter until he was suspended last month amid an investigation into a suspicious $2 million payment Blatter made to Platini in 2011. Infantino, 45, currently serves as the general secretary of the Union of European Football Associations (UEFA). Platini has served as president of UEFA since 2007. Infantino entered the FIFA presidential race late last month, with UEFA’s blessing, after it became clear that Platini’s suspension could prevent him from standing in next February’s election. FIFA last summer announced plans to hold an emergency presidential election after the arrests of nine current and former FIFA executives on corruption charges sparked an international outcry. Blatter, who is expected to step down as FIFA’s president when his successor is named, was suspended for at least 90 days last month after Swiss authorities announced a criminal investigation into his handling of FIFA’s finances. Both Blatter and Platini have denied any wrongdoing, and Platini is refusing to drop out of the presidential race, even as FIFA’s 90-day suspension halts his campaign. Platini faces a lifetime ban if an continuing FIFA investigation determines he engaged in unethical behavior. 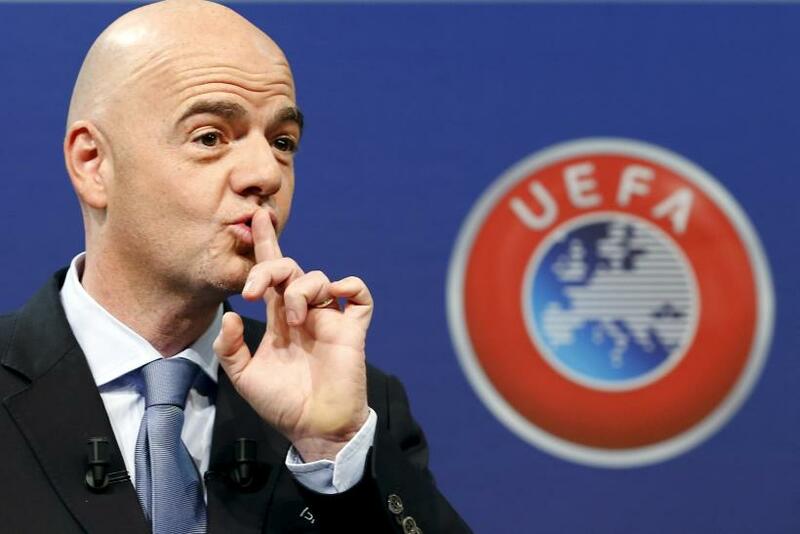 While it’s unclear if Infantino or Platini will stand, with UEFA’s backing, in next year’s FIFA election, Infantino has already developed a plan for international soccer if he were to be elected. Chief among Infantino’s reforms would be an expansion of the World Cup field from 32 teams to 40. “If you are serious about developing football it must involve more associations in the best football event in the world: the World Cup,” Infantino told the Associated Press. At present, Infantino and Platini are two of seven candidates who applied to participate in next February’s election. Prince Ali bin al-Hussein of Jordan, Tokyo Sexwale of South Africa, Jerome Champagne of France, Sheikh Salman bin Ebrahim Al Khalifa of Bahrain and Musa Bility of Liberia are also in the running.